Students sometimes ask me what the difference is between multilingualism and plurlingualism. Because these concepts are also linked to monolingualism and bilingualism, I’ll explain each one here. Monolingualism – The ability to speak only one language proficiently. Bilingualism – The ability to speak two languages proficiently (though not necessarily perfectly). Multilingualism – The ability to speak many languages proficiently (though not necessarily perfectly). When we talk about proficiency, we are usually talking about a person’s ability to communicate in a language. Sometimes people also call this fluency, though the two terms have different meaning to those with linguistic training. Please note, linguists and those with training in second language acquisition may (rightfully) contend that these definitions are simplified. My objective here is to offer clear and straightforward explanations, without too much technical jargon. If you are interested in digging deeper into these concepts, I encourage you to explore some of the resources I have listed in the references. Psaltou-Joycey, A., & Kantaridou, Z. (2009). Plurilingualism, Language Learning Strategy Use and Learning Style Preferences. International Journal of Multilingualism, 6(4), 460-474. Recently I was invited by the Werklund School of Education’s Writing Group, which is co-hosted by the Office of Research and the Office of Teaching and Learning, to offer a workshop on branding yourself as a researcher. I’m pretty excited because this gives me a chance to combine my passion for research with my entrepreneurial spirt that led me to have a successful career as an educational consultant before I entered academia full-time. Branding comes from marketing, but that doesn’t mean academics should feel any disdain towards it. Think of it as learning to share your expertise with people in your field, and beyond, to a wider public audience. It is easier to brand yourself as a specialist than it is as a generalist. It is normal for novice and emerging researcher to have multiple areas of interest. This works while you are still figuring out who are you are professionally, but specializing shows you are developing as a researcher. Have a clear research topic that you focus on intently. Marketing experts recommend being able to state your focus in 7 words or less. Here’s mine: “I research academic integrity and plagiarism prevention.” Don’t be that academic that has to ramble on for 38 minutes non-stop to say what it is you are researching. Get to the point and make it easy for others to understand. Practice writing out and saying your research focus until it feels natural. Plan what grants you’ll apply for and when. Develop a writing schedule and target specific journals in your field. Ensure every element of your plan aligns with your area of expertise. Mapping out your research and writing activities will help to ensure you make time for them. Once you execute this plan, you’ll be on your way to having a fully developed research program in your area of expertise. There are so many interesting research ideas out there it is easy to get distracted. Stay focused on your own research program. The most successful researchers do not jump on every project that comes along. Choose the projects you want to be involved with carefully and ensure they align with your expertise. Have multiple channels, but one message. Think about sharing findings in both peer reviewed scholarly journals, as well as plain-language articles targeted to the general public. Think about videos, podcasts and other ways of distributing your knowledge. The point of all this is to position yourself as an expert in both an academic audience and the public. Ensure others know you are the “go to” person on your topic. Becoming known an expert authority on a key topic not only helps you get noticed in your field, it helps you get hired, and may help you get promoted, too. What is the difference between a dissertation, a thesis and a capstone project? A former student and I were talking recently, and she mentioned the thesis she completed as part of her Master of Education degree at our university. Completed in partial fulfillment of an academic degree. Intended to showcase the student’s knowledge on a particular topic. Approved in some way by the institution that grants the degree. This is usually completed as part of a doctoral degree. The work is overseen by a professor, who is often call the advisor or the supervisor. Often, there is a committee that also supports the work. Students are often required to pass a rigorous exam upon completion of their dissertation. Then, the examiners can make suggestions for further revisions based on their review of the work and the outcome of the exam. A doctoral dissertation is often a few hundred pages long. When it is completed and approved in its final version by all the examiners, it may become publicly available through the university library digital repository or another public database. Sometimes people use the term “thesis” when they really mean “dissertation”. The reason for this may be that the word “thesis” is shorter to say. This is usually completed as part of a research-based master’s degree or an undergraduate honours degree. The length may vary, depending on whether it is completed for the undergraduate or master’s level, but often they are about a hundred pages. The work is overseen by a professor, who is often called the advisor or the supervisor. Upon completion of their thesis, students must often pass a rigorous exam. The examiners can make suggestions for further revisions based on their review of the work and the outcome of the exam. When it is completed and approved in its final version by all the examiners, it may become publicly available through the university library or another public database. Dissertations and theses often have many elements in common such as being supervised by a professor and requiring an exam to pass. Capstone projects, on the other hand, are a bit different. This is a project completed as part of a course-based master’s degree. It is often overseen or guided by a course instructor. Sometimes students present their work in some way, but the capstone does not usually require an examination to pass. The length and format of a capstone project can vary and some are presented as multimedia projects instead of a written report. These kinds of projects can go by different names. At our university we call them a “Collaboratory of Practice” project, but the general idea is the same. Here’s a handy infographic to highlight some of the key ideas. It is important to remember that these are simplified definitions to help you understand the basic differences only. When you talk about your own academic work, it is important to represent yourself accurately. You want to learn the correct term to talk about the work you have completed as part of your degree. These explanations may not apply to every institution. If you are not sure, talk to a faculty member from your own university to get more details about how things work at your institution. Share or Tweet this: What is the difference between a thesis, a dissertation and a capstone project? 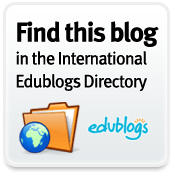 You are currently browsing the Learning, Teaching and Leadership blog archives for February, 2018.